My Holiday Photos. 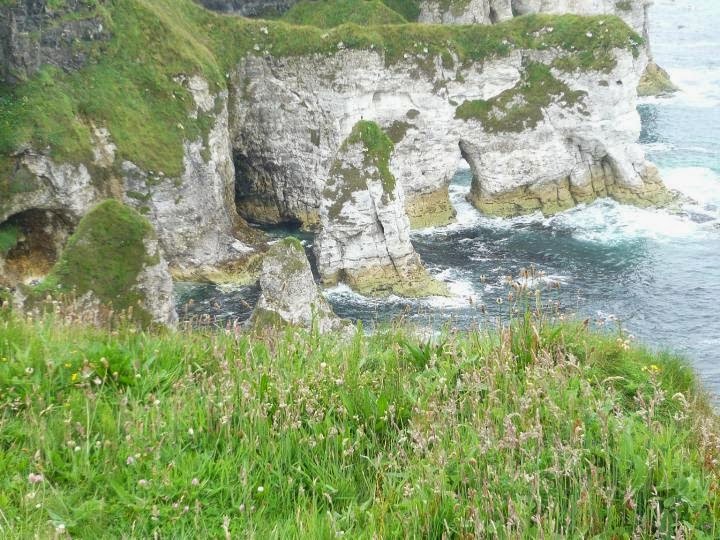 : British Isles Cruise July 2013 - Northern Ireland cont. 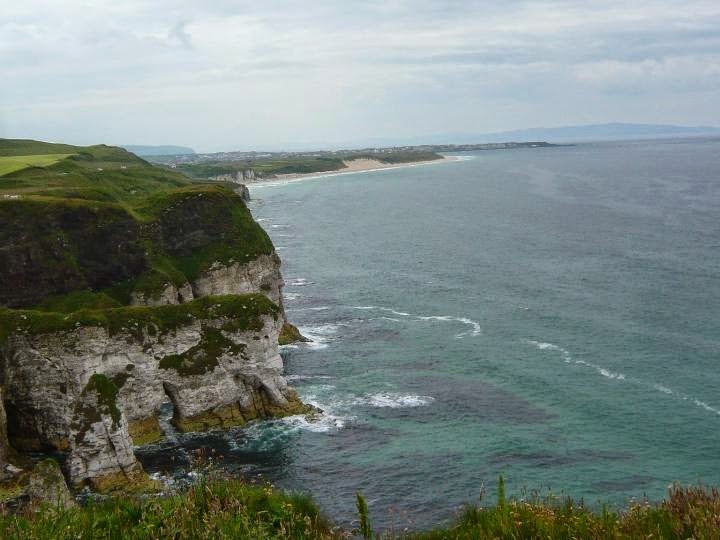 British Isles Cruise July 2013 - Northern Ireland cont. 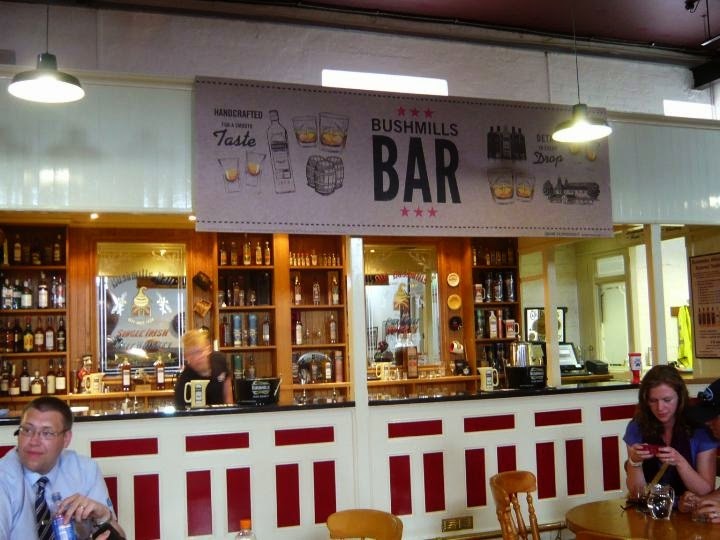 After leaving the Giant's Causeway we arrived at the Bushmills distillery where we were able to look around and also have some lunch if we wanted to. As we were in Ireland we decided we should have some genuine Irish stew and it was very tasty. 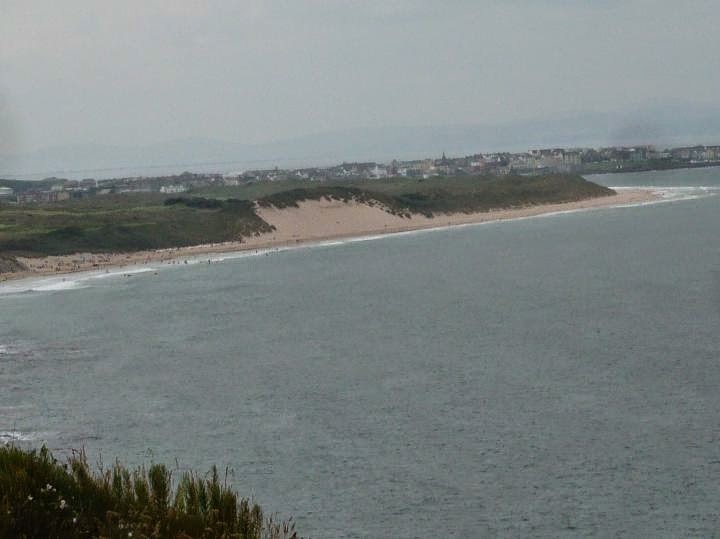 We continued along the coastal road heading back towards Belfast. 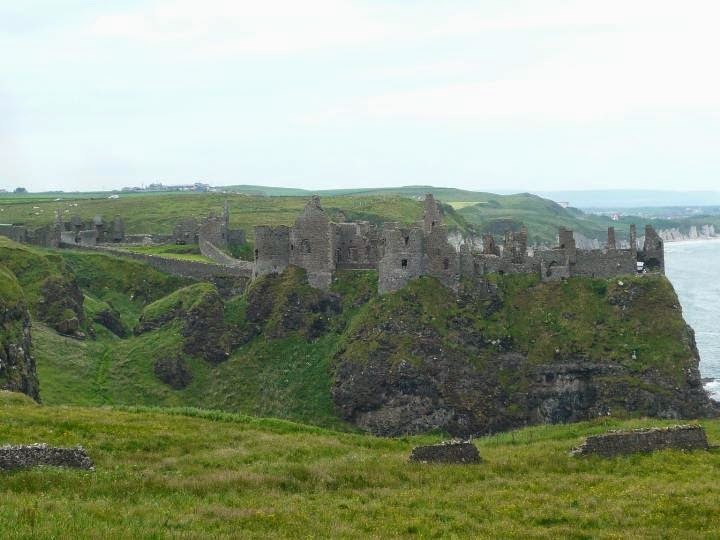 Then we saw the ruins of Dunluce Castle. We didn't have time to go in and have a good look around as the ship won't wait if we are late unless it is a ship organised tour. 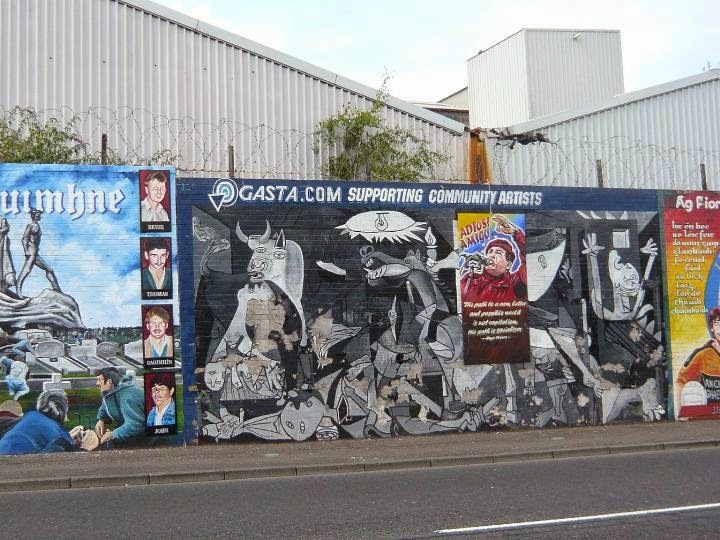 Then it was back into Belfast for a short city tour where we were able to see some of the murals from The Troubles. 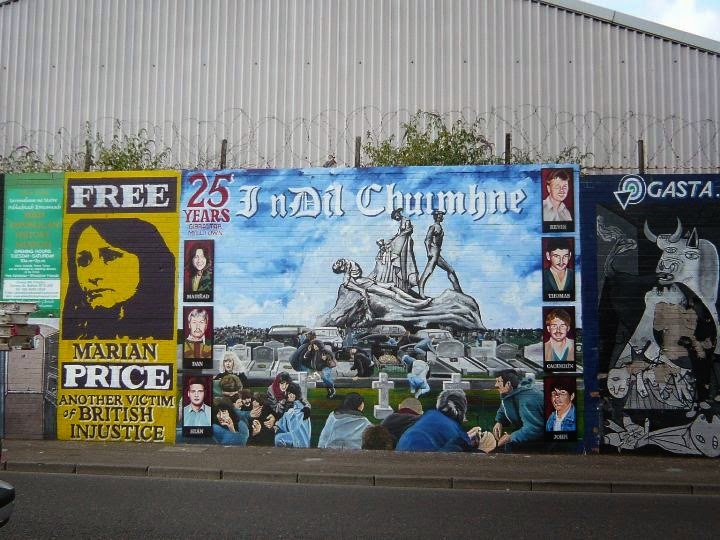 A Peace Wall. This is one of the many barriers that divide the Loyalists and Nationalists. 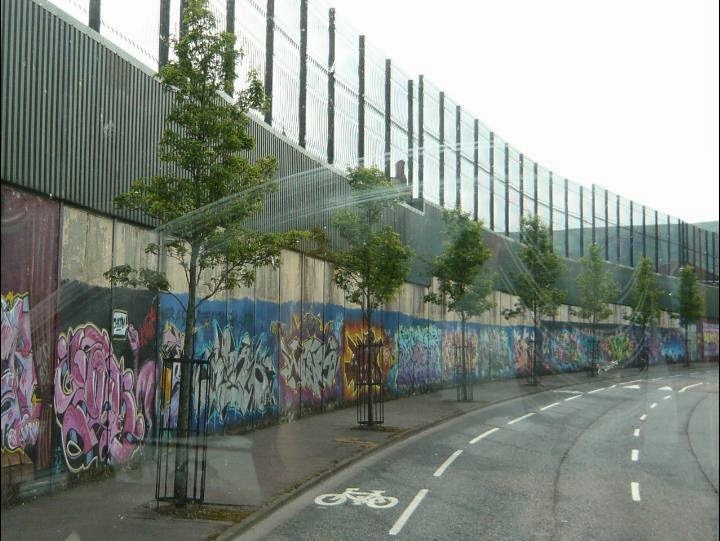 The first time we went to Northern Ireland a few years ago we were very surprised to see so many barriers dividing the Catholic and Protestant communities. From hearing the news we had thought that they had been taken down. They may be at peace at the moment, but it seems to be a very uneasy peace. 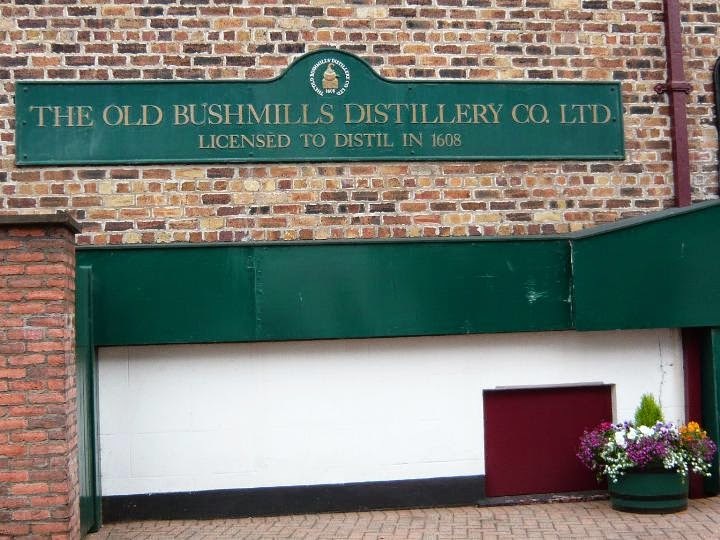 There are a few more photos of Belfast in an earlier post here. Canary Islands Cruise October 2013 - Lisbon. British Isles Cruise July 2013 - Invergordon.